Engine House No. 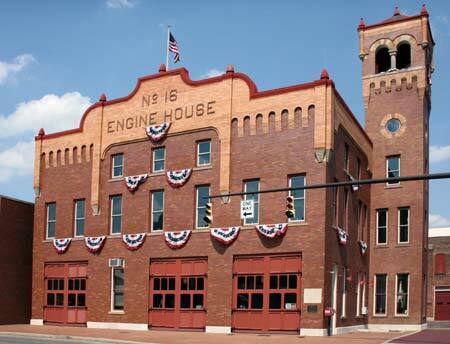 16 is a restored 1908 engine house that has been converted to house a museum devoted to the firefighters of Central Ohio. Area firefighters have painstakingly renovated and restored this building plus contributed the necessary money to make the project possible. The museum offers a variety of learning opportunties for all ages. Also on display are a number of horse-drawn and motorized fire aparatus. Visitors can trace the evolution of fire fighting in America and learn about the day-to-day lives of firefighters. The museum is located just north of the downtown area on North Fourth Street.